The cockroach had heard the heavenly utopia was also very social. After a lifetime of obeying the cockroach commandments, area cockroach Dan Bryant was granted access today to the Big Mary Markley Hall in the sky. “I just feel so blessed to be here,” said Bryant. 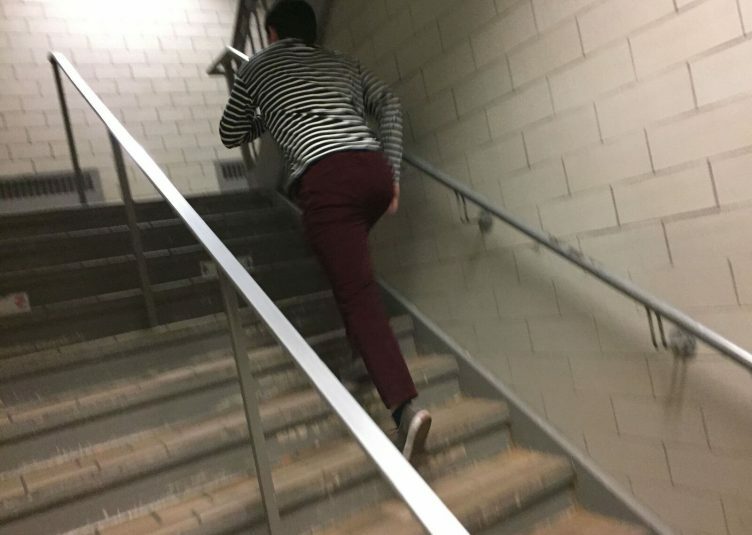 He later added, “I spent my whole life trying to be the best cockroach I could, and it was all to get into the Great Markley Above.” Bryant was seen roaming the 5th floor halls and bathrooms of Markley Hall before his ascension. The Big Markley in the sky features many cockroach-specific luxury amenities, including piles of dirty laundry to hide in, hot tubs filled with various bodily fluids, and a sizable human population to feast off of. 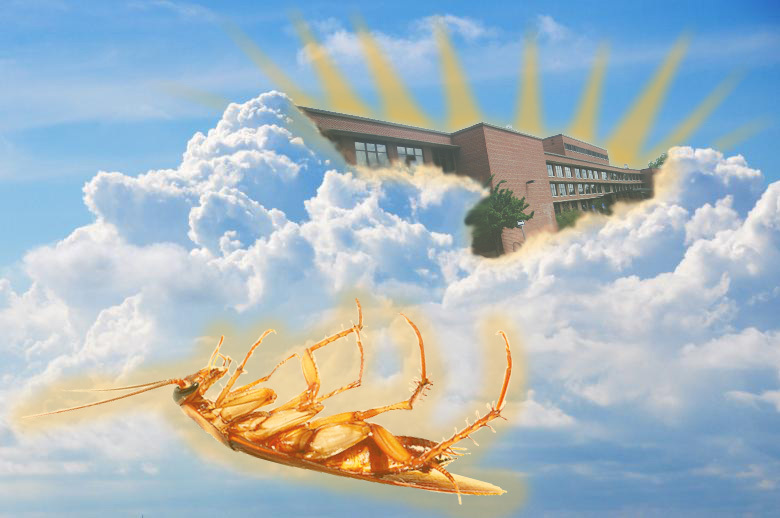 Although some cockroaches say they miss terrorizing freshman in Markley on earth, they concede that the one in the sky is a lot more accepting of their kind. Bryant, whose life was put at risk by multiple exterminators throughout his time on earth finally met his end by coming in contact with an insect poison agent in the corner of the 6th floor of Markley. Bryant was not able to bid farewell to his fellow Markley cockroaches before becoming an inhabitant of the Markley in the sky. “I will miss that dorm, but will be happy to do without those filthy freshman” commented Bryant. At press time, Bryant has settled into his dorm along with his five million roommates.